I have been looking forward to trying this one for a while now. I saved it because I wanted to do another google hangout review, which you can see below. So my friend Randy went and picked up the new 2013 edition while I got the 2012 version that was available here. Didn't seem to make that big a difference. Poured a dark opaque orange color with a huge offwhite head. The head stuck around until the last swallow and left awesome lacing. The smell of mine was very hop rich, grassy and complex with maybe just the barest hint of malts. 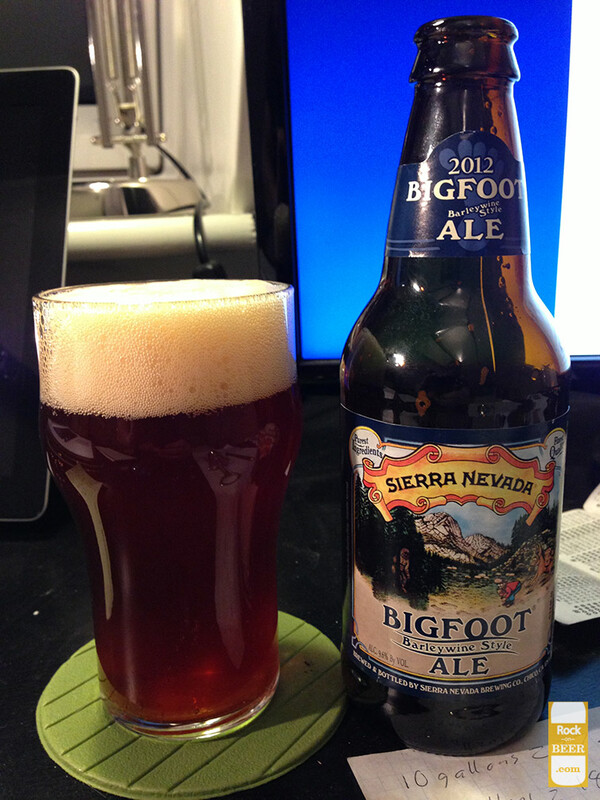 The taste for me was also very hop forward. A big burst of fresh spicy hops and an almost overwhelming complexity and bitterness. The malt is also there, it is sweet and balances the hops while adding even more to the amazing complexity. I would recommend watching the video and then immediately rushing out to the store and buying this beer.